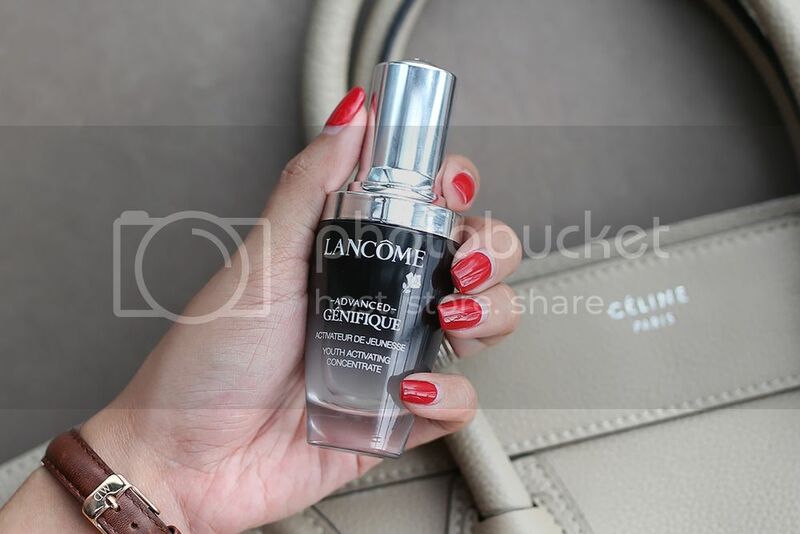 The reason why women pay so much emphasis on skincare is to make themselves look younger and Lancome's Advanced Genifique Youth Activating Concentrate is the solution to creating that exceptional light called the youthful aura. As time passes, fatigue and dryness set in and the skin’s quality is reduced. Light reflection on the skin surface is diminished and inner light is not backscattered as efficiently. With this loss in intensity, this phenomenon has an undisputed impact on the skin’s luminosity. By improving the structure of the skin surface, Advance Genifique re-activates the skin’s luminosity. 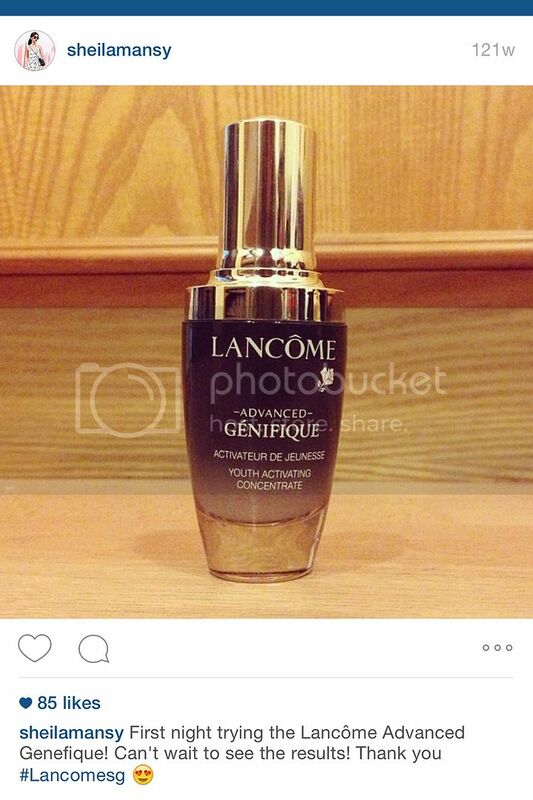 This is also why the Lancome Advanced Genifique is one of the oldest and most consistent products I've been using in my skincare regime. Scrolled through hundreds of photos on my Instagram to get to this photo I uploaded more than 2 years ago. I've been a fan of this product since! 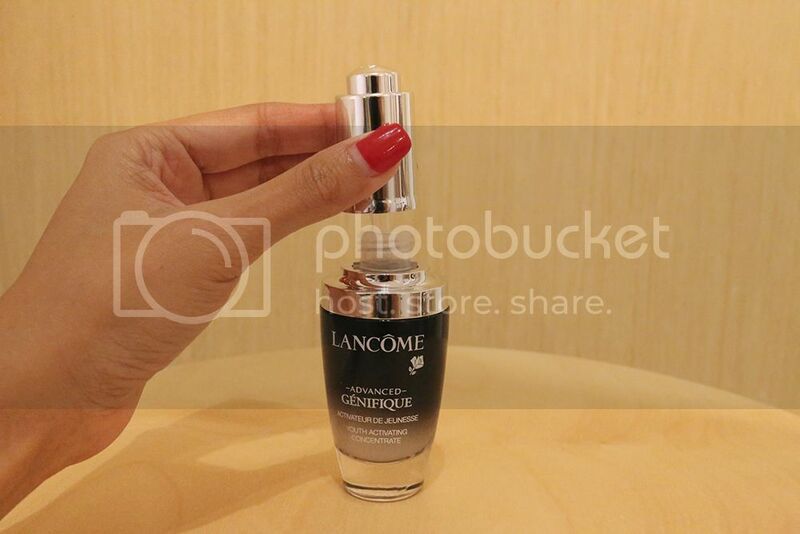 Simply put, the Lancome Advanced Genifique is a youth activating concentrate that has scientifically proven its effectiveness in repairing and activating 10 visual and tactile signs that characterize youthful skin - Fine lines, coarse wrinkles, radiance, clarity, evenness, texture, resilience, tonicity, firmness and sagginess. The Lancome Advanced Genifique is the first and most essential step of my skincare regime as it not only activates and repairs youthful skin, it also increases the efficacy (Up to 3x) of the other products I apply on my face. It performs a double action on key signs of youth: repairing and activating visible signs for an unprecedented youthful skin result. The Advanced Genifique benefits from Lancome's latest research discoveries & is enriched with a biotechnology-derived ingredient that works in harmony with the skin. So advanced that this formula is patented until 2029. Besides its amazing effects on the skin, I also really love the bottle's design! With just one twist, the self-loading dropper picks up the right amount of product for optimal application. How convenient! Refreshing and more enveloping than ever, the Advanced Genifique is instantly absorbed in my skin leaving it firm and bouncy with a soft, silky finish. I like to use it in the morning before make-up because this serum keeps my skin moisturized. 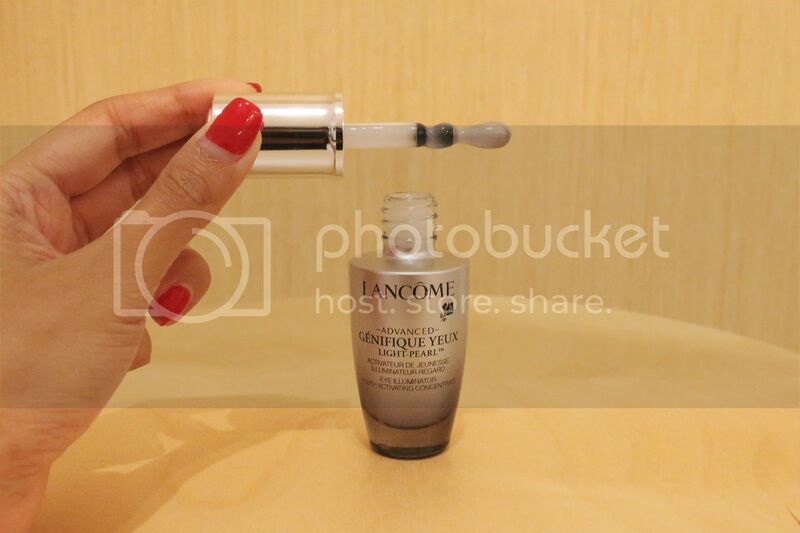 After a positive experience with the Lancome Advanced Genifique, I was thrilled to be given the Genifique Yeux Light Pearl Eye Illuminator & Eye Concentrate to try! 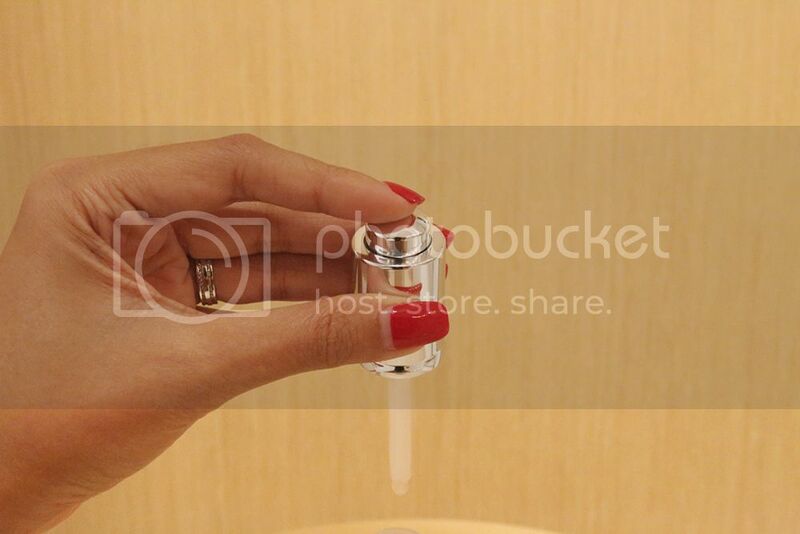 This is the first serum with a pearl applicator for 360 degree illumination of the eye contour. More flexibility and precision with this new applicator. I like to use it in the morning as it refreshes my eyes and reduces eye bags. Only valid until 31st August, while stocks lasts, so wait no more and get yours to experience the youthful aura! What do you use to draw your eyebrows? 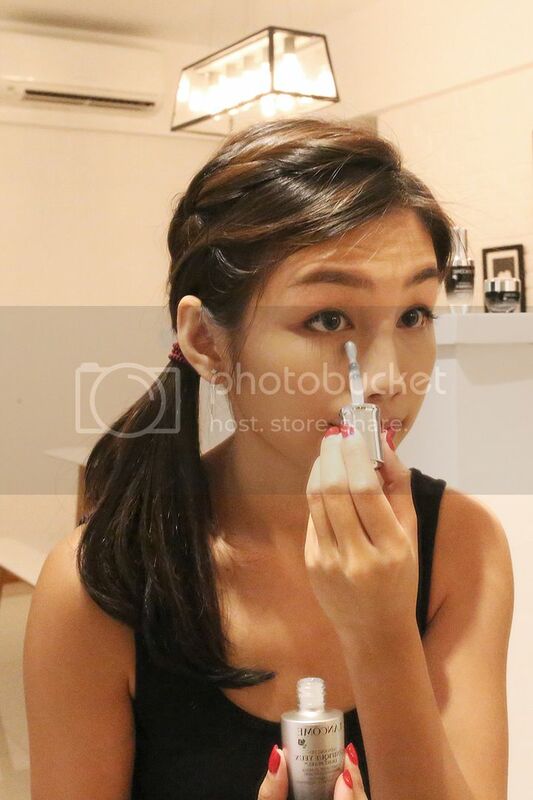 Innisfree brow pencil :D I also did Brow Resurrection at Browhaus to make my brows symmetrical.